Nov. 19, 2018 — After two years of renewal work the Anne Frank House is ready to welcome a new generation of visitors. This morning the renewed museum was opened by His Majesty King Willem-Alexander. Interest in the life story of Anne Frank is undiminished. Many of our visitors are under 25 years old, and come from countries outside of Europe. So it is important to go more deeply into the historical context and background of the life story of Anne Frank in the museum. The numbers of visitors have grown considerably in recent years: we receive over 1.2 million visitors every year. For that reason we also have expanded and renewed our public facilities. Click on CC for captions in English (or Dutch). Partly thanks to an extra contribution of €910,000 from the BankGiro Lottery we have been able to adapt the route through the museum and construct a new entrance, cloakroom and educational area. In the museum we now give more information on events in the 1930s in Germany and during the Holocaust in the Netherlands. We also tell more about the life of Anne Frank, the other people in hiding in the ‘Secret Annex’ and their helpers. We offer an audio tour in nine languages; visitors can hear the history of hiding in their own language. The authentic character of the house remains intact; the primary focus is on the experience of the house and its significance. The official presentation of the renewed Anne Frank House, in the presence of His Majesty King Willem-Alexander, was held this morning. There was a special programme for invited guests in the new reception area. The speakers were Ronald Leopold, executive director, Ernst Hirsch Ballin, chair of the Supervisory Board, and Garance Reus-Deelder, managing director. There were also video presentations of the renewed Anne Frank House and contributions from young people. After the plenary session the invited guests visited the renewed museum. Besides the official presentation there will be special meetings for colleagues from other museums, contacts, neighbours, residents of Amsterdam and participants in the BankGiro Lottery. The exhibition concept came about in partnership with Dagmar and Georg von Wilcken and Wim de Bell. They were also responsible for the design of the new layout. The lighting design was in the hands of Hans Wolff & Partners. As an integral producer, Bruns BV was responsible for the redesign of the museum. Bierman Henket Architects took charge of the design of the architectural renewal – with a new entrance area, more space for educational programmes and additional visitor facilities – and Salverda Bouw carried out the construction work. 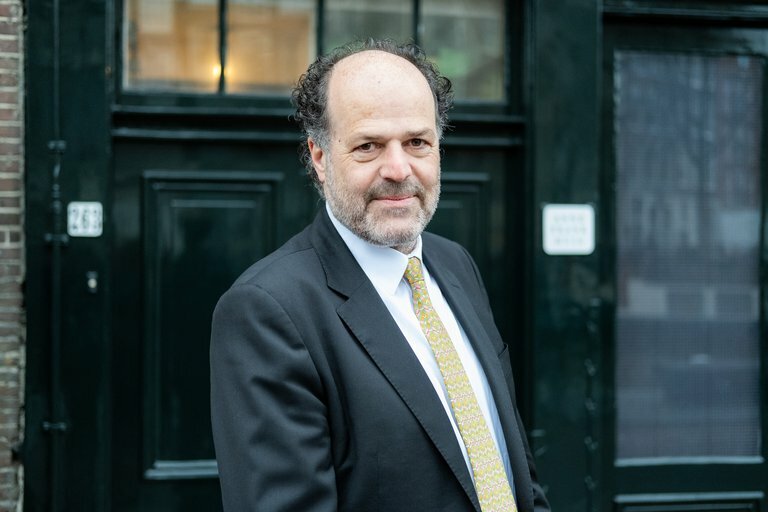 The renewal of the Anne Frank House has been made possible thanks to funding by the BankGiro Lottery, the Ministry of Education, Culture and Science, the Mondriaan Fund, the BPD Culture Fund and the Breslauer Foundation. Website nominated for two Webby Awards. Your vote counts! 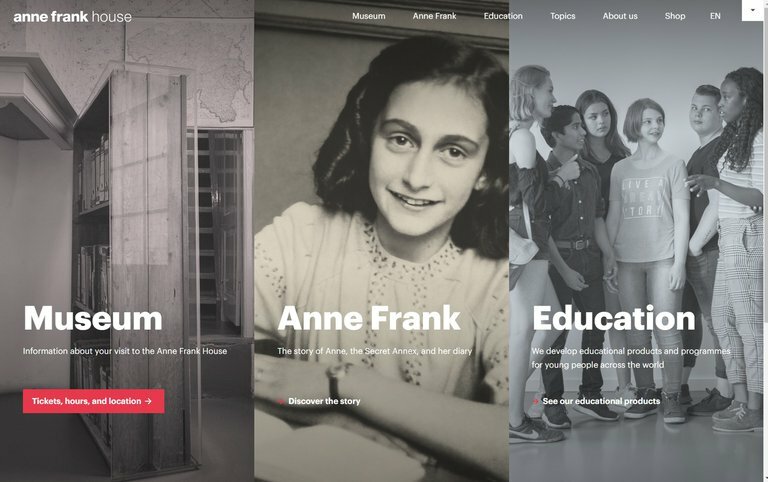 The International Academy of Digital Arts and Sciences has nominated the website of the Anne Frank House (annefrank.org) for the 23rd edition of the Webby Awards in two categories. The public has a say and can vote until 18 April. We are shocked by the attack on the Al Noor and Linwood mosque in Christchurch on March 15th. Our deepest and heartfelt condolences go out to those affected by this terrorist attack. We will continue to fight against the poison of racism. 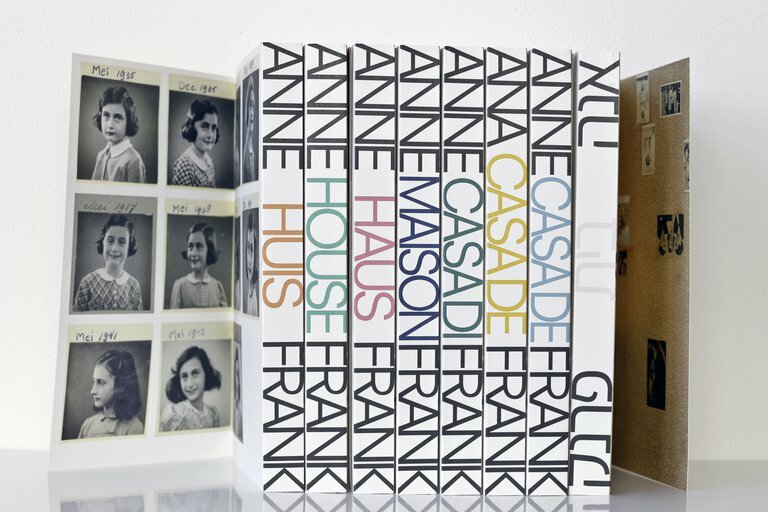 The museum catalogue of the Anne Frank House has won the Silver Medal in the competition for the ‘Schönste Bücher aus aller Welt’ (‘Most Beautiful Books in the World’), as announced by the international jury in Leipzig today.